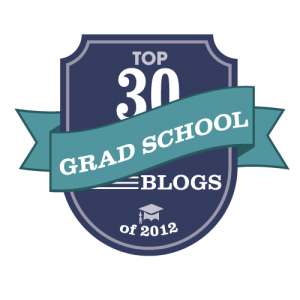 What is the Grad Student Way All About? Here’s my 2 cents of honest advice to you. 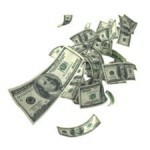 Realize that you do not go into any career thinking about money, but for the satisfaction of work. If I was you, I would rather spend my energy and resources on making my life what I want it to be. You are clearly unhappy in graduate school and you are spreading propaganda on your website to bring down other graduate students who might be genuinely interested in doing scientific research, which again is the main reason why you should be in grad school in the first place. 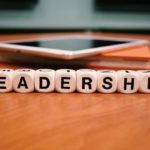 I have always considered myself a leader prior to joining grad school. But as a senior grad student, I have honed in on this skill. I have become someone with MORE initiative. More passion. More drive. More tenacity. More mental toughness. More perseverance. More cogency. You name it. It changed me completely. Grad school is nothing compared to undergrad. But I’m glad it is this way. You are entirely on your own. And for that reason, it “forces” you to develop certain character qualities and emerge a better and stronger person. It forces you to SEEK out answers. To learn. To put your own ego aside and realize that you are all in it together with a common goal: to help better human life through scientific research. Aside from personal development, I have also landed an internship position in the biotech industry while finishing out the last 6 months of my PhD. But I could not have done it without self-motivation, networking (and reassurance from other people), and an underlying drive that I learned/developed while in grad school (and seemingly had all along but capitalized on). What keeps a PhD student going? Is it the light at the end of the tunnel? And if you aren’t going to stay in academia does that mean that grad school/PhD is a waste? Does that mean that those wishing to pursue ‘alternative’ scientific careers should not be talked about or remain secret? I hope from my post (The Top 10 Most Memorable Lessons And Things I Learned In Grad School) that these comments and questions were addressed and can help those see the value in grad school as I have. I do not regret one second of my graduate school experience, and in the end it made me a much stronger person. There were times when I felt like I hit rock bottom, and I pushed myself. I “found myself” in a sense even when all the answers weren’t laid out in front of me. Grad school was an eye-opener and a self-learning process. It is nebulous; even when you can’t see the whole picture of your project, you must still push forward. That’s right when it unfolds. You still need to have faith; the more time you put in, the more your project will come together and actually make sense. Although this is not always the case, it’s your scientific curiosity that keeps you going. Then you think to yourself, “I can finally publish my work!” The light at the end of the tunnel becomes more real. You are self-motivated and you want to graduate and make a small dent on the scientific community. The bottom line is that research is a beautiful thing. I hope to highlight this in my list below. So why would anyone spend six or more years doing a Ph.D. when they aren’t going to become professors? Everyone has different motivations, but one possible answer is that a Ph.D. program provides a safe environment for certain types of people to push themselves far beyond their mental limits and then emerge stronger as a result. For example, my six years of Ph.D. training have made me wiser, savvier, grittier, and more steely, focused, creative, eloquent, perceptive, and professionally effective than I was as a fresh college graduate. 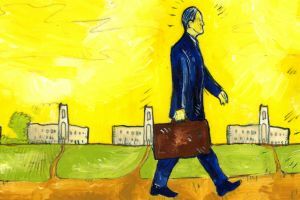 (Two obvious caveats: Not every Ph.D. student received these benefits—many grew jaded and burned-out from their struggles. Also, lots of people cultivate these positive traits without going through a Ph.D. program. I will briefly be very forward about my intentions with my blog, Twitter feeds, etc. There is a common misconception among the ‘academic kind’ where if anyone talks about grad school downsides, or discusses alternative PhD careers in industry, then that person instantly becomes someone who only loves science for the money.. Or dislikes research. It is also very frowned upon if someone doesn’t stay in the field that they were trained for. 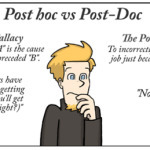 The harsh reality (as I’ve said before) is that 50% of Graduating PhDs end up doing a “traditional” post-doc upon graduation. But of that 50% how many are landing tenure positions? 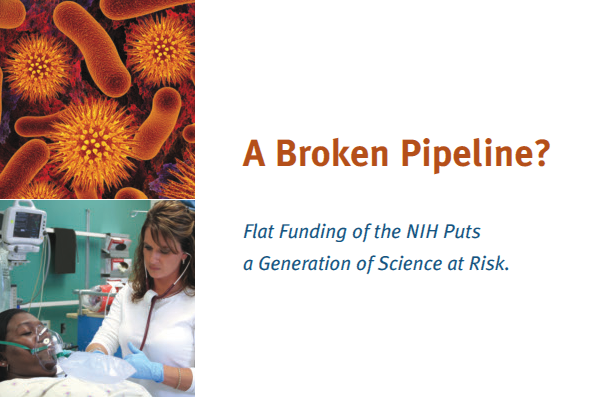 Not surprisingly, only 14 percent of those with a PhD in biology and the life sciences now land a coveted academic position within five years (according to a 2009 NSF survey). Do you see a problem here? So my intention with this blog is to HELP that 50%. Where do they go? There needs to be direction. There are simply NOT enough faculty positions for the over-abundance of PhDs (we train too many). So there is nothing wrong with being open to careers outside of academia and exploring those options. Most will look the other way or ignore the problem. Some went into a PhD program loving research and will continue to do this their whole lives. 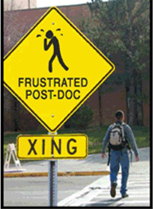 But they may pursue other avenues once they enter the post-doc crisis and cannot land a faculty position. I still respect those who wish to pursue a career in academia, and by all means do what makes you happy! I feel that I have touched on these 5 misconceptions as outlined in my post The Top 10 Most Memorable Lessons And Things I Learned In Grad School. I will not address them individually (since they are simply not true and are general, naive comments). It’s not that there isn’t some truth to what you’re saying. There’s been about 100 really smart people who have been in the system for decades who have have pointed out that the system is pushing out more PhD’s than there are academic positions for. First it should be noted that this fact alone doesn’t say anything about the value of a PhD. Getting a PhD provides value to people for reasons of intellectual and self growth. People make these same type of one dimensional arguments about astronomy all the time. The argument goes something like this: “well what good does astronomy do? what job does it create, what product does it develop, who does it make more financially secure?” These questions are of course a bit of a non sequitur. The study of astronomy brings people value simply because our brains our wired to extract value from understanding things. Getting a PhD is in a way similar. The questions about “what job does it help you attain” do not need to be satisfied to justify personal reasons for getting a PhD. While your goal of helping people is commendale, the idea that you’re somehow the guy to help people understand different directions in life after higher education…well to be blunt is somewhat silly. This is what we call a snake-oil-salesman. 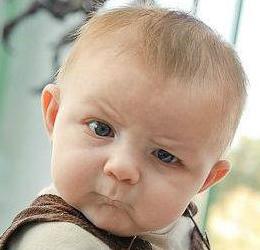 You haven’t done anything outside of your graduate training. You haven’t even finished yet. You haven’t gotten a post-doc and you haven’t spent any real time in industry. You haven’t really done anything after graduate school so how could you possibly know? Because you’ve interviewed a lot of people? There is of course nothing wrong with this. But there is something intellectually dishonest about selling yourself as a person who really understands the different dimensions to post-academic life. It’s great that you’re passionate about this, but it takes a certain level of social and intellectual awareness to realize what you are and are not qualified for – and it is clear you haven’t developed these cognitive skills yet. It still surprises me after all this time I am still attacked for my credibility. 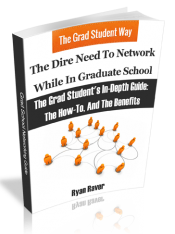 The Grad Student Way was launched to help PhD students and post-docs alike and is grounded on the blood, sweat and tears of my experiences (as well as others) that proved to be useful. What emerged from this was the intention to inspire some hope for careers beyond that of academia when some may feel like their options have run dry. Everyone is different, so I want to help those find their calling: Academia, Industry, Government, Private Sector, Entrepreneur, etc. Whatever it is, it is entirely individualistic. So take my advice with a grain of salt because what may be true for me may not be true for you. Either way, being aware of what’s out there and planning ahead CANNOT POSSIBLY HURT YOU. It is important to keep an open mind.. No one is forcing anyone to read my blog articles, so I only ask my readers to be respectful. 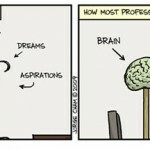 Statements like: “The questions about ‘what job does it help you attain’ do not need to be satisfied to justify personal reasons for getting a PhD.” This is slightly true (as I also have my personal reasons for getting a PhD as mentioned above), however a PhD without a job doesn’t get you anywhere. That’s great that some may feel a PhD may provide value to people for reasons of intellectual and self growth. But at the end of the day, you may be smarter but where does it get you? Does it get you the real-world experience (i.e. a job and income)? Does it teach you how to network outside of academia? Does it really even address the problem that we are having or is it simply ignoring it? 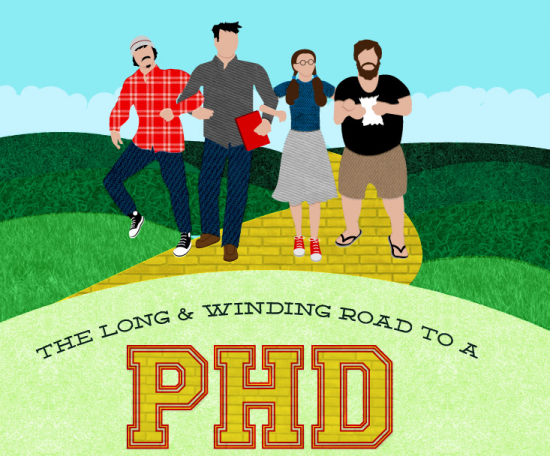 If you came out just focusing on the PhD as the endpoint (and intellectual growth), this will only hurt you in the long run and may leave you unemployed. 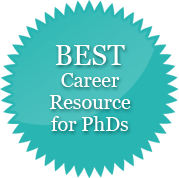 In fact, it can leave a long unemployment gap on your resume if you haven’t taken the time to do the necessary planning/networking beyond that of a graduate student/postdoc. Why do you think in some cases people have left “PhD” off their resume? What did I do while in graduate school? I am working in the Life Science Biotech Industry at Promega as an Associate Product Manager in Proteomics my last 6 months of graduate school, which will lead to a full-time position upon graduation. 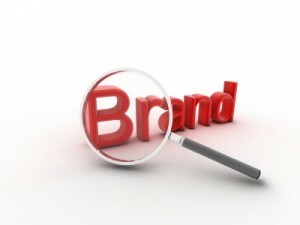 I launched my own business in 2009 and tripled revenue after one year between 2010-2011. 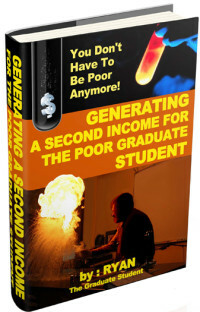 I launched a second business in 2012, authored two books, and helped graduate students transition into the workforce. I increased my net worth and built a 200 person network out of thin air in one year. I took intensive Entrepreneurial Bootcamp and Entrepreneurial Management classes as the UW-Madison School of Business. I also performed SWOT analysis, wrote a business plan, and helped grow a local start-up. I participated in postdoc workshops, conferences, seminars and gave presentations and input. 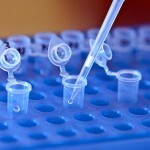 I was actively involved in biotech happy hours, networking events, and took professional development classes. I met with working professionals from all different disciplines (outside of academia) to prepare myself for a career in industry and ultimately product management. 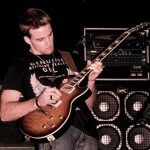 On top of it all, I was the lead guitarist in a local rock band with paid gigs. How’s that for “social and intellectual awareness” and “developing my cognitive skills”? My thesis defense date is set for July 30, 2013 (Under 5 Year Graduation Time). Thanks to all who continue to support this site and read my blog. More to come. Any future derogatory or negative comments will be deleted. Is there life after graduate school? THIS. All of this. You have already built an empire and that is ridiculously impressive. Thanks for giving hope to those of us with ambitions to step (leap in my case) outside the academic box! 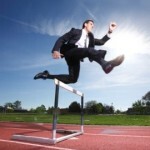 Have you written posts on starting your own business while in grad school? I am a doctoral student (Microbiology and Bioinformatics focus) / Science Editor with a similar drive and really admire your energy, efficiency, and ability to be so prolific! Would it be alright if I contacted you? Thanks for the comments! I will be writing a future post on how to run our own business on the side while in grad school/academia. Right now I am trying to write my thesis and complete it by July 1st, so I am staying rather busy. I am glad to hear you have a dual disciplinary field in grad school, that will definitely give you an edge! I would be happy to speak with you further about any future endeavors. happy to speak with you further about any future endeavors. Wow. I landed here because I was looking for images for a blog post I was writing about being a PhD student and a full-time industry practitioner at the same time. (All about managing schedules.) Your blog is a great read and I can completely relate. I’m back to part-time teaching now that I’ve finished my PhD and also running a game development studio full-time. (I resigned from my post as a video game producer as soon as I passed my dissertation defense and decided to build my own, even if it’s a small one.) I have been invited to teach full-time but I found that as a hybrid, I cannot be one or the other. I have to be both a practitioner and a teacher. I also tell people never to listen to naysayers. The things we want to do outside of the academe can be done. Sadly enough, hybrids like me get criticized by pure academics or pure practitioners. Thanks skysenshi! It is no easy task to be a PhD student/working in industry at the same time. Quite the balancing act as you put it. I will be writing more about this in the future (and more post-PhD life and making the transition into the work force). It sounds like you have an interesting story. Would you be interesting in sharing more about your experience as a video game producer in addition to your PhD? That is exciting that you have multiple options and the choice of also being a teacher. I think being a ‘hybrid’ is a very good thing and once you have tough enough skin-you don’t really care what others think or say about you leaving or working outside of academia. It sounds like you will have a bright future ahead of you as you have come to realize your strengths/interest in other areas NOW instead of later.